Back to all Press Releases. CHICAGO – LaSalle Network, a national staffing, recruiting, and culture firm, has been recognized among the top six “Best Staffing Firms to Work For” in 2019 by Staffing Industry Analysts. This marks the company’s eighth year on the list. With approximately 300 staffing firms participating in this year’s program, the “Best Staffing Firms to Work For” award is calculated based on the results of confidential employee surveys. The survey measured 10 key engagement categories, including: trust in leadership, teamwork, feeling valued, manager effectiveness, and compensation and benefits. As a leader in providing a great workplace for employees, LaSalle Network has been recognized by more than 70 culture-based awards, including Fortune magazine’s “Best Companies to Work for in Chicago” and “Best Medium Workplaces,” Forbes magazine’s “Best Professional Recruiting Firms’” and to Inc. magazine’s “Best Workplaces” list. Winners will also be profiled in the March/April 2019 print issue of Staffing Industry Analysts’ publication, Staffing Industry Review, as well as online at www.staffingindustry.com. For more information on LaSalle Network, please visit www.lasallenetwork.com or contact Heather Youkhana at 312-496-6562, or hyoukhana@lasallenetwork.com. LaSalle Network is a national staffing, recruiting and culture firm with business units that specialize in accounting and finance, administrative, call center, healthcare revenue cycle, human resources, management resources, marketing, sales, supply chain, technology and executive search. Since inception in 1998, LaSalle has worked with thousands of clients and placed more than 60,000 candidates in temporary, temporary-to-permanent and permanent positions. Its newest offering, Culture 20/20, works with companies of all sizes and industries to help them focus on what matters: Culture. Performance. Results. 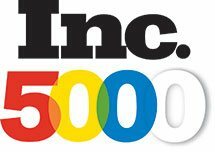 LaSalle Network has been listed on Inc. Magazine’s 500/5000 “Fastest-Growing Privately Held Companies in America” list for 11 consecutive years, Inc. Magazine’s 2016 and 2018 “50 Best Workplaces,” Forbes’ 2018 "America’s Best Professional Recruiting Firms" list, Fortune's "Best Small & Medium Companies to Work For" and “Best Workplaces in Consulting & Professional Services” in 2018, and Crain’s Chicago Business’ “Best Places to Work” list from 2014 to 2018. The firm has offices in downtown Chicago, Nashville, Oak Brook and Schaumburg. For more information, please call 312-419-1700 or visit www.lasallenetwork.com. June 16, 2017 – Tom Gimbel, founder and CEO of LaSalle Network, shares what he did to negotiate a raise. Click here to read.